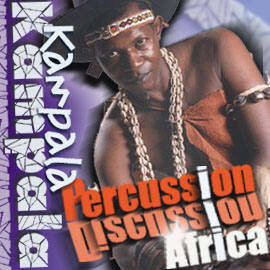 A music and dance company, Percussion Discussion Africa (PDA) was founded by Herman Ssewanyana (omwana we nseenene) in 1997 with a central aim of producing a unique breathtaking cultural music style. PDA has succeeded in producing music based on original Ugandan tunes using traditional African instruments, and is firmly leading in the development of authentic African tunes and rhythms in Uganda. Under the leadership of Herman Ssewanyana, PDA has managed to produce and promote the rich African cultural products on low and high stages around the world. The company hosts and participates in multicultural activities and supports the development of artistic skills in schools and other institutions in the country.